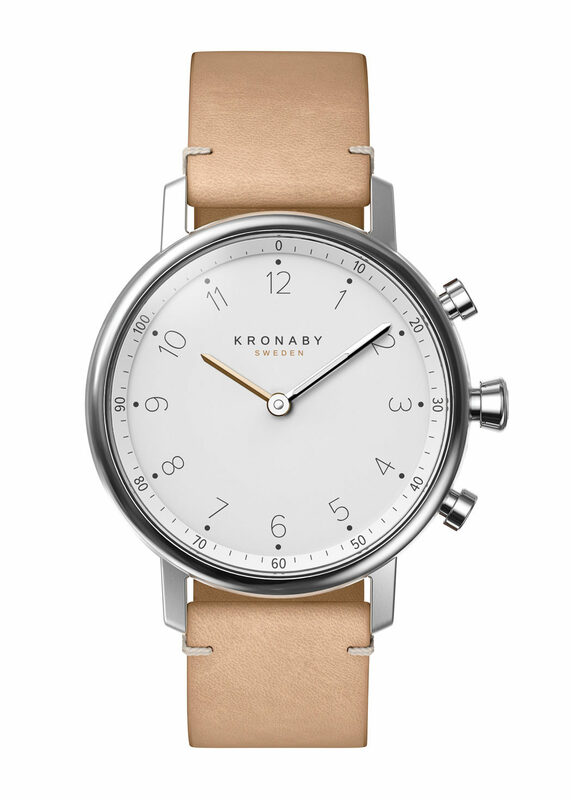 The idea of making a connected watch company called Kronaby came to a group of Swedish entrepreneurs in January last year. Fifteen months later they launched a four family collection at Baselworld that has distributors fighting to represent them around the world. Rob Corder traveled to Malmö to hear how they approached the watch market, and discovered a group of technology geeks with plans to challenge every assumption held dear by the centuries-old industry. Malmö in Sweden is a city that is familiar with regeneration. In the 1960s, its successful textile industry virtually evaporated as competition from Asia intensified. In the 1980s, it happened all over again as its dominant shipping sector was all-but wiped out by the rise of South Korean rivals. From 1965 to 1985 the number of industrial workers decreased by 40% in the city. Far from being cowed by the challenges, Malmö authorities set about turning the area around with a post-industrial strategy that positioned it as a “city of knowledge”. Malmö University was developed, which focused on educating students for the hi-tech and service-led jobs of the 21st century. The old port area was redeveloped to make it attractive to start up companies. Major tech companies have made the area their home, including Sony Ericsson (now Sony Mobile Communications), which in 2010 employed around 3,000 people at its regional headquarters in Lund, just 14 miles from Malmö. The southern tip of Sweden is also only 30 miles from the Denmark, another hi-tech hub, and the Copenhagan to Malmö train takes just 20 minutes to cross the Øresund strait between the two cities. This geography and history lesson matters because it helps explain why a group of highly educated, tech-savvy entrepreneurs decided to create a watch brand in Malmö. More significantly, it sets the scene for how these entrepreneurs were able to create a company, invent and design a new hybrid connected watch, and take it to mass production and into global distribution within 15 months. The company they created is Animo, and the watch brand is Kronaby. 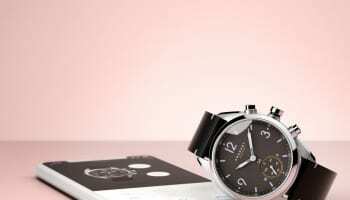 The watch brand exhibited for the first time at Baselworld last year without a watch to demonstrate. They used the 2016 exhibition as a fact-finding mission. Only 12 months later, at Baselworld 2017, the team were back to unveil a complete and fully rounded collection of connected hybrid watches. How did they do it? WatchPro headed over Sweden to find out, meeting co-founder Sarandis Kalogeropulos, head of product design Mats Larsson, and director and head of hardware development Henrik Telander. 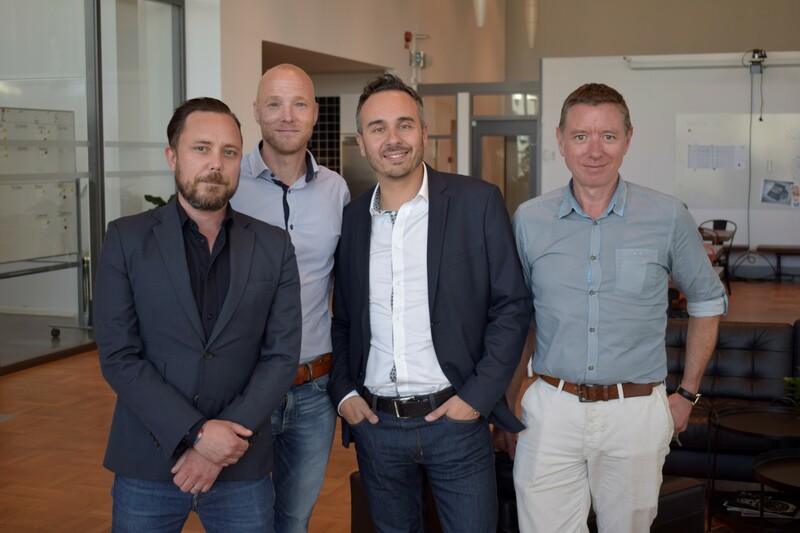 Left to right: Mats Larsson, Henrik Telander, Sarandis Kalogeropulos, and WatchPro managing editor Rob Corder at Kronaby’s headquarters. The startup began life at the end of 2015, but it looks remarkably rooted given it is less than two years old; occupying a large airy floor of what appears to be a modern office block. It is only during a tour that I learn the building was actually part of a submarine building operation, which partly explains the double-height ceilings that allow light to pour in from the regenerated area that used to the old shipbuilding port. It is a thoroughly modern workspace, befitting an emerging company focused on producing a range of digitised products that bring connectivity to everyday objects and appliances. 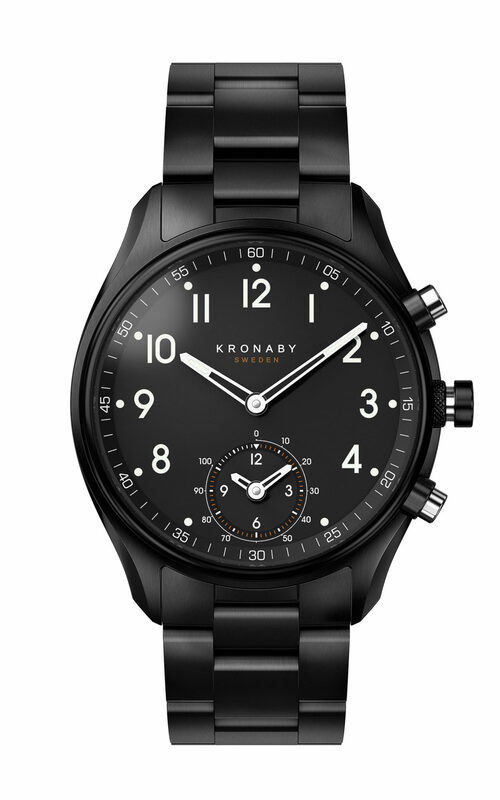 The first connected product is the Kronaby watch, but parent company Anima might plug almost anything into the Internet of Things ecosystem in the future. Kronaby is located in a building that previously housed a submarine maker. The Anima team came together so quickly and effectively because they had worked together before. They had all been working in various roles in the mobile phone business, some for over 25 years. Their paths eventually met at Sony Mobile, where they came together in a department developing accessories such as Bluetooth headsets and speakers, smartwatches and smart bands for the company. But a directive from Sony’s head office in Tokyo shut down the department and moved its work back to Japan. The team, which had also become friends, were made redundant in a round of job cuts across mobile phone companies in Lund and Copenhagen that put around 20,000 people out of work. “In the beginning we all felt sorry about it, but then me, Thomas Sandelius, Pål Borge and Fredrik Rosén met and started to say we could not just let all of these good people vanish. All of us would have got new jobs here because the economy was boiling. The mobile phone industry was going down in Malmo and Copenhagen, but other companies wanted our competence,” Sarandis Kalogeropulos recalls. They agreed that they had to move quickly to start something new before the best talent that had been jettisoned by the mobile phone industry dispersed. “We thought, if we don’t do something together then the structure will be gone; the structure that is required to take an idea right through to production,” Mr Kalogeropulos continues. With a ready-made team prepared to go into business together, the next thing they needed was investment to get them started. The founders travelled to China, where they already had valuable contacts in the mobile phone manufacturing industry, and met with executives from Goertek, which is a major production partner for Sony Mobile. Goertek was looking to develop manufacturing capabilities for new products that might become the next big thing, and the team’s promise to develop digitised ‘stuff’ that fitted into the Internet of Things ecosystem ticked a lot of boxes. Remarkably, without any firm idea on what the new company would make, it secured the financial backing of its Chinese partner. “The money allowed us to form a company in September 2015, still without a clue what we would do. We just came together as four people, and we came up with the idea to make a watch. At the time, if you had asked us what we knew about watches, we would have told you nothing, we did not have a clue. The only thing we bought to the company at the beginning was money, a facility, computers, desks, chairs, a toilet. We just told people like Mats [Larsson] and Henrik [Telander] to come in and innovate,” Mr Kalogeropulos describes. The first idea was to create components for other companies, and a connected watch movement that would compete with Switzerland’s MMT (formerly the connected watch movement maker of Frederique Constant) was an early frontrunner. But in December, a delegation of employees came to the founders and pleaded for a change in direction to making finished products. “It was almost a mutiny. Ten to fifteen people from the company came to us and said, we do not want to be OEM manufacturers for other companies, we should create our own brand,” they insisted. A month later, in January 2016, the decision was taken to create a finished watch brand. 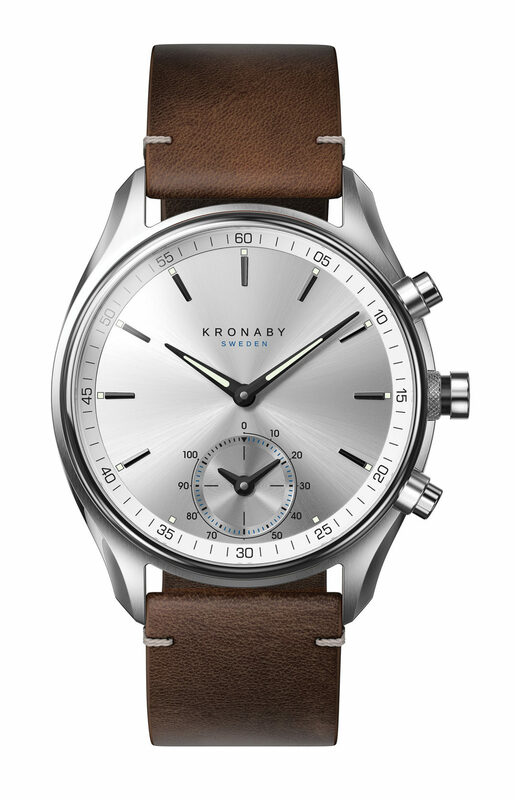 Its name would be Kronaby, a Scandinavian mixture of chrono (time) and ‘by’, the Swedish word for village. Two months later the company made its first appearance at Baselworld. A year after that they returned to the Swiss showcase with a full collection to present. That 15 month journey is unique in comparison to the stories told by other watchmakers that trace their histories back to the 18th century. “We could not claim we had been operating from a mountainside in Switzerland for 200 years, so we had to come up with something different,” says product designer Mats Larsson. “We knew from our days at Sony that, once people got bored of fitness tracking, they stopped wearing the product. We asked ourselves, what do we need to do to make sure people do not remove our watch once they get bored to tracking? The answer is, make it beautiful. We want people to feel cool wearing our watches,” he adds. That ignorance was turned into a strength, with the Kronaby team challenging every assumption that the watch industry threw in their way. For example, there were already connected watchmakers that shot the antenna of their movements through plastic dial plates so that they could communicate with mobile phones. The Kronaby team already knew that antennas could be connected into the steel of a mobile phone case, which makes them work more efficiently and use less power. They used the same technique in their watches, which improved the Bluetooth connection to their mobile phone app, reduced power consumption and, most importantly, meant they could use steel dial plates. 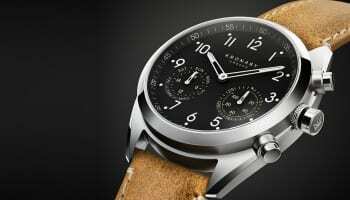 Steel dial plates allowed them to create watches with sunray dials and applied markers; the sort of design details that elevate the watches above most mass produced models. It costs more, but Kronaby had already decided that the price point it was looking to hit with its watches was around €500, the sort of money people commonly paid for consumer electronics like mobile phones. Henrik Telander, director and head of hardware development, had other challenges. He had to design a production line for the hybrid movements, and in parallel create the 316 steel cases with curved sapphire glass, the steel bracelets and the leather straps. Again, experience from making mobile phones influenced the way Mr Telander approached the challenge, and led to a process that dramatically cut the time it took Kronaby to move into mass production with Goertek in China. Instead of creating each part of the watch before moving onto the next one, Kronaby had teams working in parallel. The work of these teams was constantly cross-checked, so that the finished parts worked perfectly together at the end of the process. This led to several finished prototypes, but they were only taken to China when the Kronaby team was entirely satisfied. “A lot of start-ups today just come up with one design, approve it with the manufacturer, then go straight to mass production. This not the way we work and that caused a lot of confusion at the beginning,” recalls Mr Telander. Having overcome that confusion, the parallel production line model halved the time it took to move from an idea to a finished product, he believes. 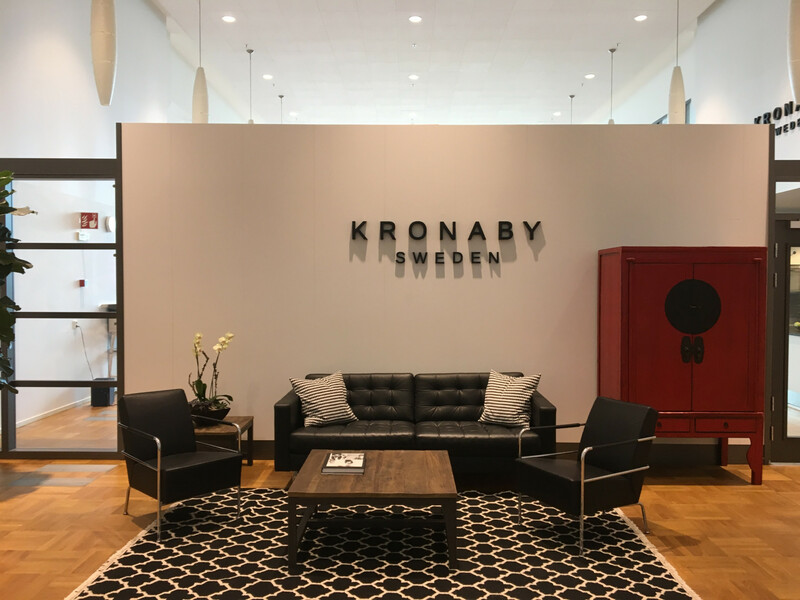 Everything is created in house at Kronaby: the movement, the mobile phone app and the cloud computing software that stores data generated from the watch and its app. “All of that has been developed from scratch,” says Mr Larsson. 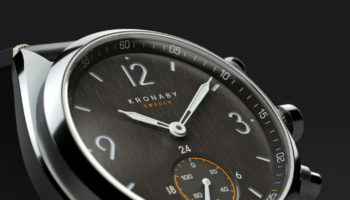 The resulting watches do exactly what Kronaby promises. When you wear one, as I have for a month now, all you see is a great looking watch. The size is right, the proportion is right. The sapphire glass is still pristine despite a pretty punishing week of sun, swimming and sightseeing on holiday. The dial is uncluttered and clear. The three pushers are reassuringly firm. The applied hour markers look great against the black steel dial face. The subdial at 6 o’clock, which looks at first like a small seconds dial, is actually a scale from zero to 100% that can be set via the phone app to measure steps or show a second time zone. The crown can also be programmed so the watch shows the day of the month, or turns it into a stopwatch. Mission accomplished when it comes to creating more than credible watches inside 15 months. But the company had other processes running in parallel, including establishing an international network of distributors and agents. 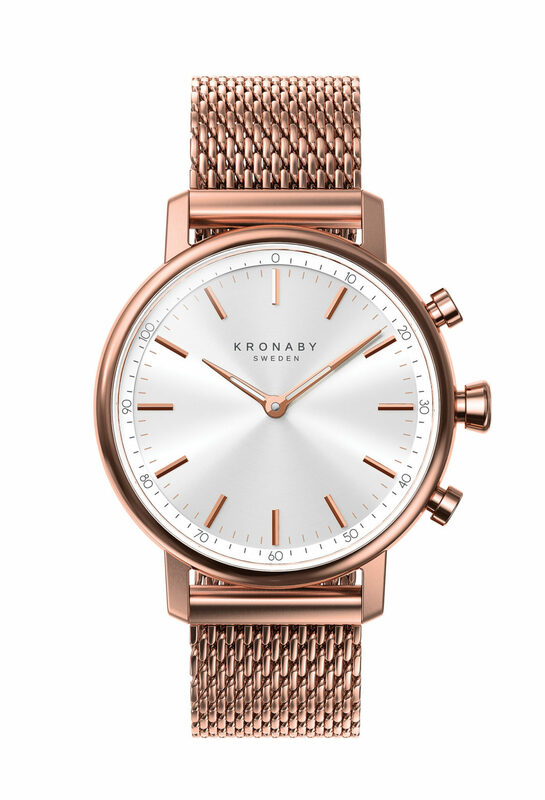 The UK is currently handled by two sales managers, Mark Ryder and Tiago Sa-Henriques, who are selling Kronaby watches into retailers across the country and working with them to increase brand awareness and sales. Mr Kalogeropulos says the watches were so well received when presented at Baselworld earlier this year, that distributors were fighting to secure the brand for their countries. “We have sales all across Europe: in Scandinavia, in UK, France, Italy, Spain, Portugal, Czech Republic, Cyprus, Switzerland and Germany. We have Japan and we have our own sales force in the USA. So, within these five quarters it has not just been about product. We have developed sales and distribution channels at the same time,” Mr Kalogeropulos states. 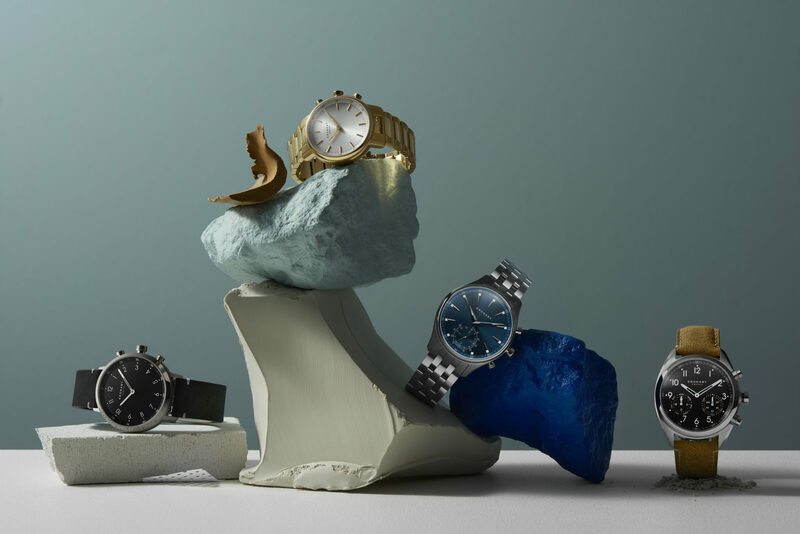 The UK market is not one that Kronaby expects to crack overnight, but the company believes that retailers will wake up to the power of connected watches to attract new, younger customers. “The UK is a country that has a very long heritage with watches, Swiss-made watches with very strong historic brand names. For retailers, some of them are not taking the risk of adding a new brand without knowing how well it will sell. That is where guts are required. Two major Swedish retail chains, Klockmaster and Stjärnurmakarna, they said directly they want to work with us, and they are selling the same well-known brands that everybody has. Retailers have to understand that they can be the pioneers with something new,” suggests Mr Kalogeropulos. APEX: Inspired by classic sports cars’ speedometers and naval gauges, this watch features ‘Super-LumiNova’ hands and dial numbers for easy readability. It has a case size of 43mm and comes in five different variants with 22mm bracelets in stainless steel or leather. The CARAT family expresses Scandinavian refinement and elegance and is made of carefully selected premium materials and finishes that Kronaby has chosen to match an effortless sense of style. The case size is 38mm and the model comes in six different variants with 18mm bracelets in stainless steel, solid links/mesh or leather. Pared down to the bare minimum, Kronaby’s NORD is refined, with a nod to Kronaby’s Nordic heritage. Key details include a matte finish dial and a case that combines stainless steel with double-domed, anti-reflective sapphire crystal. The case size is 38mm and the watch comes in four variants with 18mm bracelets in stainless steel, solid links/mesh or leather. SEKEL is a homage to the art of traditional watchmaking, Kronaby’s SEKEL is designed to epitomise the age-old qualities of genuine craftsmanship and analogue precision. 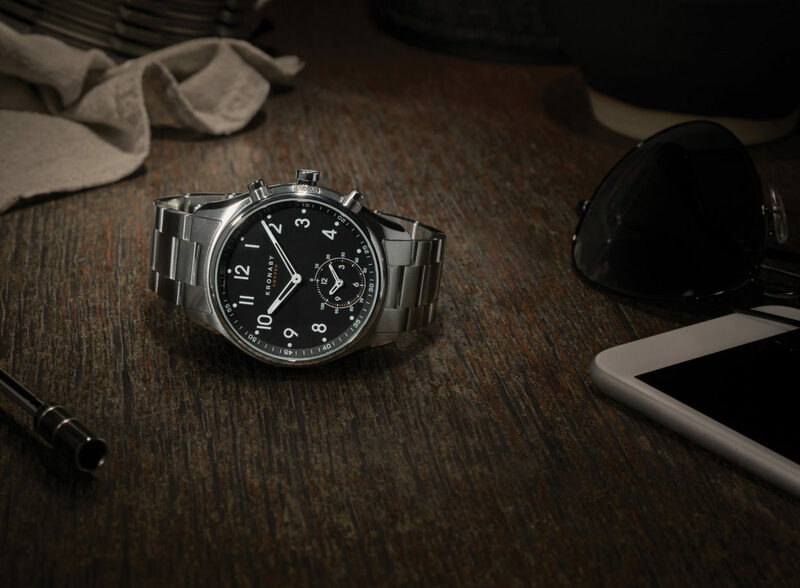 It has a case size of 43mm and comes in nine different variants with 22mm and 18mm bracelets in stainless steel or leather.